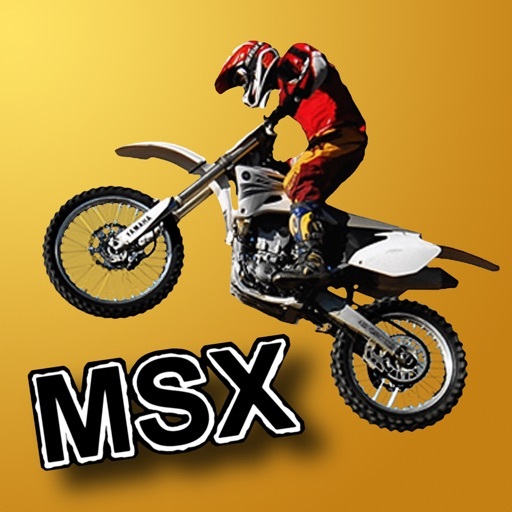 Motor Stunt Xtreme is a motocross racing game in which the goal is to reach the finish as fast as possible. 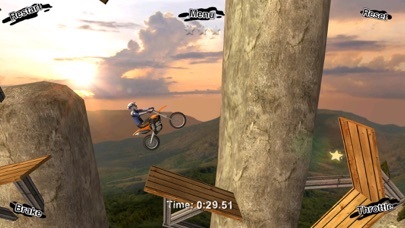 You'll have to perform dangerous stunts and big jumps to get across canyons, valleys and all kinds of obstacles. 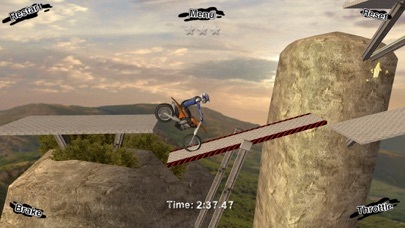 Tilt your device left and right to pull off front- and backflips but make sure you always land (safely) on your wheels! 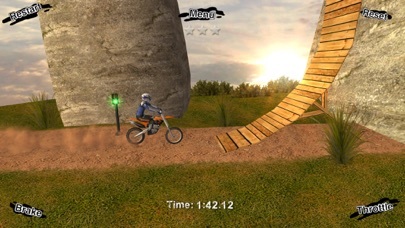 Move your device back and forth to keep your balance on the narrow surfaces you'll need to get across. 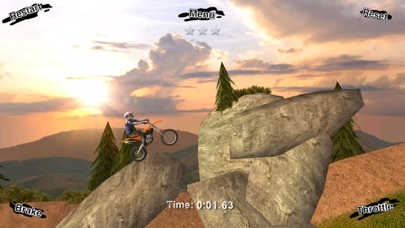 Compare your times with your friends or the rest of the world using the Game Center online leaderboards. The in-game online score overview shows you directly who of your friends is the fastest on each track. 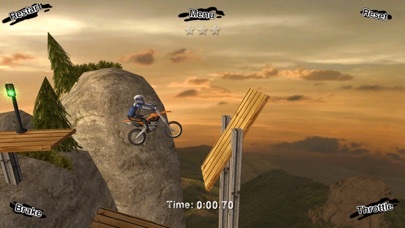 You’ll earn a ‘Flawless race’ award for each level you complete without falling flat on your face. Try to collect all 75 stars that are hidden throughout all levels. Some need alternative routes to get to them so keep your eyes open. When you pick up a star make sure to bring it to the next checkpoint without crashing. If you crash before the next checkpoint you will lose the star and have to pick it up again, so be careful!